A riveting, deeply-affecting true story of one girl's coming-of-age in a polygamist cult. 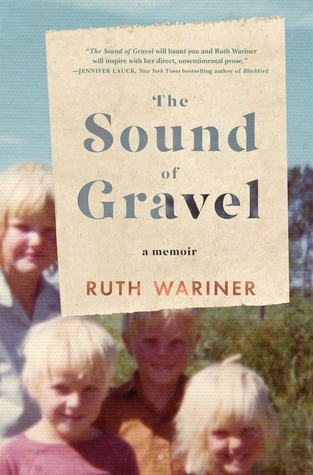 Ruth Wariner was the thirty-ninth of her father’s forty-two children. Growing up on a farm in rural Mexico, where authorities turned a blind eye to the practices of her community, Ruth lives in a ramshackle house without indoor plumbing or electricity. At church, preachers teach that G A riveting, deeply-affecting true story of one girl's coming-of-age in a polygamist cult. Ruth Wariner was the thirty-ninth of her father’s forty-two children. Growing up on a farm in rural Mexico, where authorities turned a blind eye to the practices of her community, Ruth lives in a ramshackle house without indoor plumbing or electricity. At church, preachers teach that God will punish the wicked by destroying the world and that women can only ascend to Heaven by entering into polygamous marriages and giving birth to as many children as possible. After Ruth's father—the man who had been the founding prophet of the colony—is brutally murdered by his brother in a bid for church power, her mother remarries, becoming the second wife of another faithful congregant. In need of government assistance and supplemental income, Ruth and her siblings are carted back and forth between Mexico and the United States, where her mother collects welfare and her stepfather works a variety of odd jobs. Ruth comes to love the time she spends in the States, realizing that perhaps the community into which she was born is not the right one for her. As Ruth begins to doubt her family’s beliefs and question her mother’s choices, she struggles to balance her fierce love for her siblings with her determination to forge a better life for herself. Recounted from the innocent and hopeful perspective of a child, The Sound of Gravel is the remarkable true story of a girl fighting for peace and love. This is an intimate, gripping tale of triumph, courage, and resilience.